to the problem of train-thru train events at junctions. 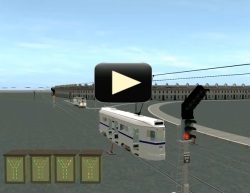 When set up correctly it will stop SPADS and switch the direction of both manually driven and AI trains at Turnouts. 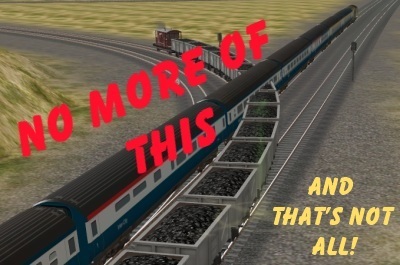 More than that, using multiple ASB Channels introduces a different way to control your trains round the entire map. Imagine a complex layout with multiple junctions and many AI Trains reliably traveling around your route. 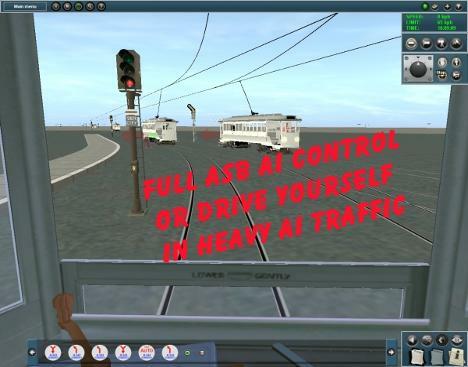 With the addition of the ‘Go Manual’ and ‘Go Auto’ Commands, (included), you can take control of any train and drive it, while the rest continue in AI. (True for ASB Junctions only. Other Trainz commands, eg. NavigateTo will act as normal) Put your ASB Controllers in one place and keep an eye on all your junctions at once. ASB Turnout comes in both left and right handed versions, depending on which side of the 'road' your trains drive on. 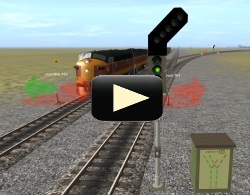 The system is fully compatible with other Trainz Driver Commands. 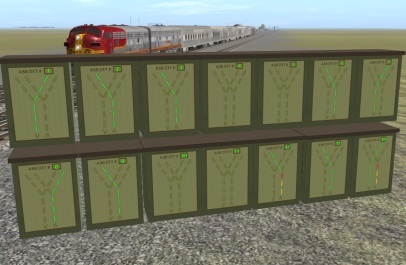 ASB Turnout uses a Controller, Triggers and Driver Commands to keep watch of trains approaching a double track turnout. 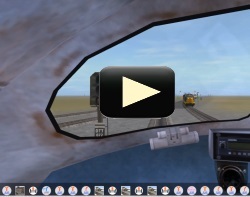 Knowing what's coming means the Controller can allow a train clearance to 'go' well in advance. It will hold back other trains, including those traveling across the main line so that fast trains may not even need to slow down. This happens in a session with real-time reaction, computed as, when and if a train arrives. No 'scenario' planning is needed, only simple Commands in the Driver Command Schedule. 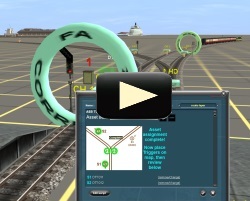 Junctions will switch automatically ahead of both AI trains and the train you are driving. 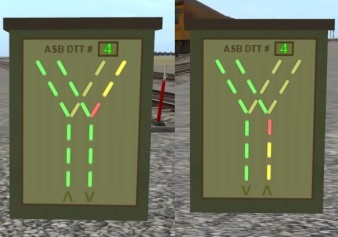 Because ASB Turnout works for both AI trains and manually driven trains it allows a level of random AI v Human-Driver interaction not before seen. If multiple ASB Junctions, (max 99) are installed, this interaction can extend across a whole map. (Some standard Trainz Commands may still be necessary but Manual Control will be returned as soon as the schedule returns to an ASB Turnout Command). Note - This video contains instructional annotations which do NOT show on a mobile device! Like ATLS, ASB Turnout will need some learning effort. The full kit comprises 30 separate assets but only 11 of those assets are needed to set up your first Junction. The rest are optional to enhance the system.